Four nominees are vying for their first Barclays Manager of the Month award of the 2016/17 season, meaning Chelsea’s Antonio Conte will not win for an unprecedented fourth time in a row. 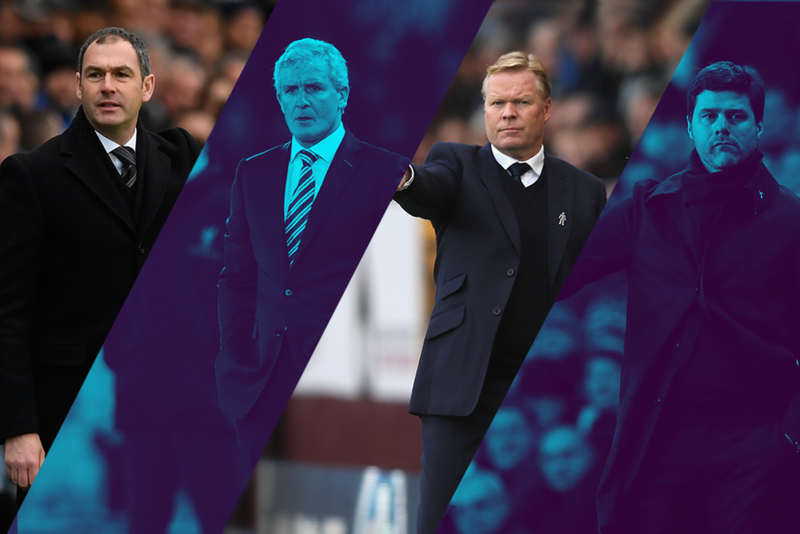 The shortlist features Ronald Koeman, who led Everton to three wins out of three, and Paul Clement, who picked up three wins from his first four matches at Swansea City after being appointed in January. Stoke City’s Mark Hughes is nominated following two wins and a draw, while Tottenham Hotspur’s Mauricio Pochettino is in contention having kept his Premier League title challengers unbeaten during the month. Decide who deserves the award by casting your vote above and it will be combined with those of a panel of football experts*. You have until 23.59 GMT on Monday, 4 January and the winner will be revealed on Friday, 10 February. *The public vote will count for 10% of the total vote. The Dutchman started January by guiding Everton to a 3-0 win over his former club Southampton, before another impressive Goodison Park victory followed as they beat Manchester City 4-0. A 1-0 away win at Crystal Palace completed a flawless month for the Toffees. Spurs won three and drew two of their five Premier League matches in January, scoring four in victories over Watford and West Bromwich Albion either side of ending Chelsea's 13-match winning streak with a 2-0 success. Draws at Man City and Sunderland put Spurs up to second in the table. The Potters started January with a 2-1 victory at Crystal Palace before a 3-1 triumph at Sunderland. Hughes' side were denied a third successive win by Wayne Rooney's late free-kick in the 1-1 draw with Manchester United. Clement enjoyed a fine start to life as Swansea head coach, earning a late 2-1 win at Crystal Palace. A 4-0 home defeat against Arsenal followed, but then they won 3-2 at Liverpool and beat Southampton 2-1 to climb out of the relegation zone.